In my BC days (that’s before children, you know) the only thing guaranteed to make me cry was a stint in the kitchen chopping raw onions. Now, with three kids in the can, I’m pretty much a big, giant sook. The question these days isn’t what does make me cry, it’s what doesn’t. I tear up when I watch those newborn Huggies ads and I sob over schmaltzy telemovies. I can’t even watch the annual RCH Good Friday appeal on TV without reaching for a box of tissues. 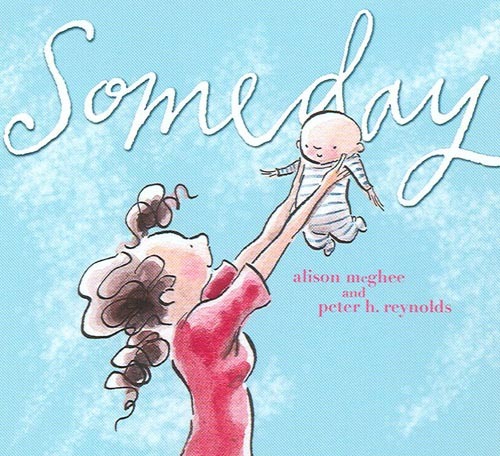 So when it came to Someday, by Alison McGhee and Peter Reynolds, I didn’t stand a chance. 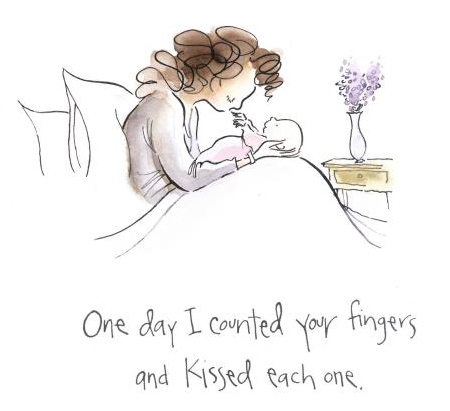 Alison has written a book that’ll tug at the heartstrings of every mum who’s ever had a little girl. Originally penned as an ode to her daughter, I read it to mine last week and couldn’t get through it without my voice wavering and without dabbing frantically at my eyes to stop the tears falling. Yes, it’s terribly emotional, yes, it’s hopelessly sentimental, but it struck right at the core of my own hopes and dreams for my daughter. Even typing this review has me in tears! Someday I will watch you brushing your child’s hair. Someday, a long time from now, your own hair will glow silver in the sun. And when that day comes… you will remember me. I must confess my three-year-old didn’t really “get” parts of the story and even seemed a little overwhelmed at my emotional reaction to the book, so if you’re a sooki-la-la like me, it’s probably better saved for sharing when they’re a little older. But that aside, it is absolutely, positively the perfect gift to yourself or for any mum-to-be who is expecting a baby girl.